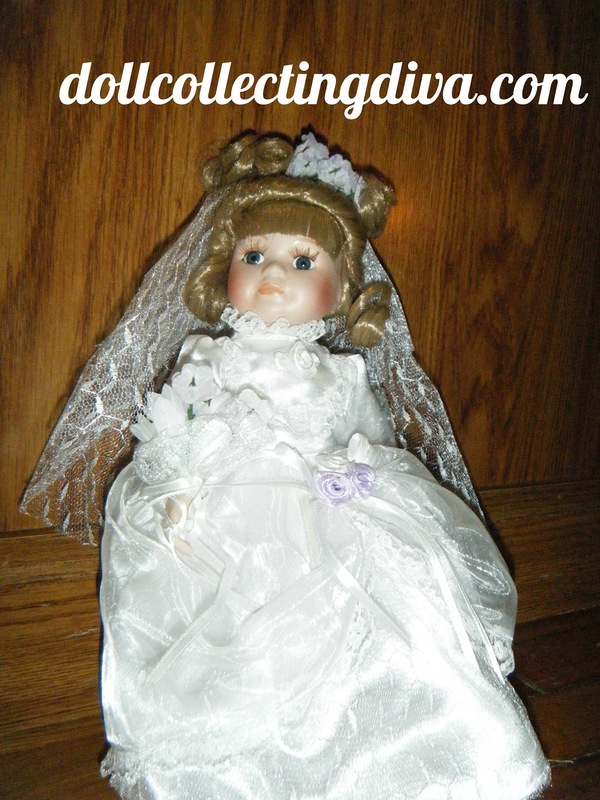 After I "outgrew" playing with dolls I moved on to collecting porcelain dolls. Every now and again I find one I have to add to my collection. During the holidays last month I received this little cutie as a gift from my Grandmother. On her certificate is says her name is Kimberly. 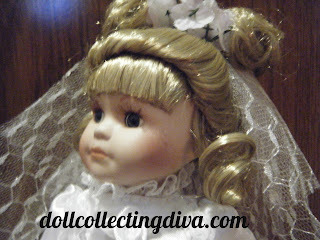 She is about ten inches tall with curly ash blond hair styled in an up do. 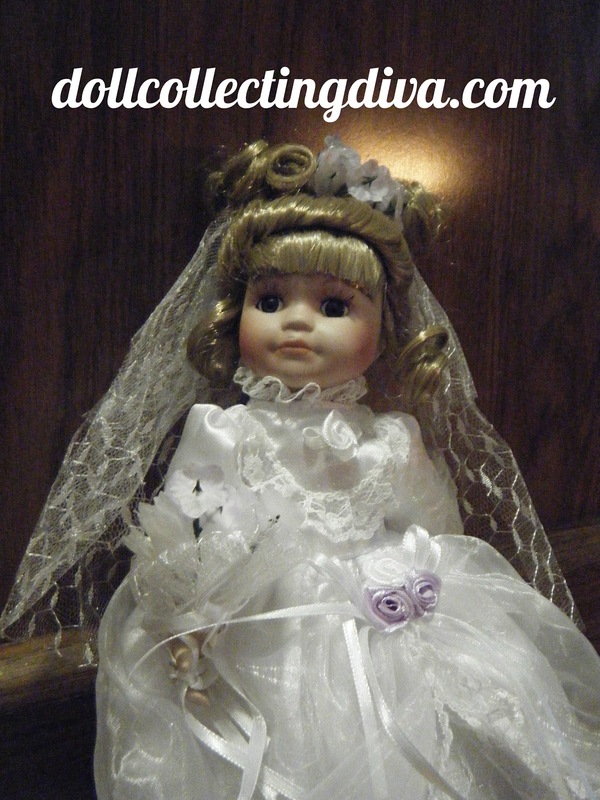 She has dark blue glass eyes an applied blond eyelashes. 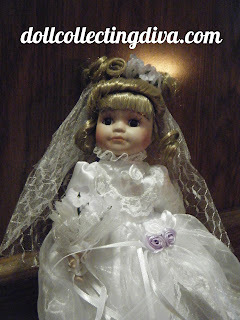 She is dressed in a lovely "wedding" gown and veil. She has tiny purple flowers in her hair and is holding a bouquet of the same flowers in her right hand. The bouquet is wrapped in white lace and tied with a white ribbon and is tied to her hand with a second white ribbon. The lace around the bouquet is the same as her veil. Her white satin like dress has a high lace collar and lace detailing on the front with a white flower detail. 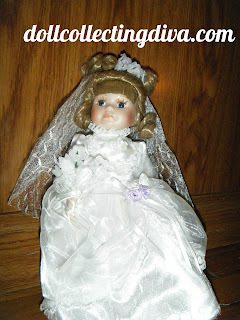 Under her dress she is wearing white bloomers and a mesh underskirt. Her white shoes are painted on and look like slippers.